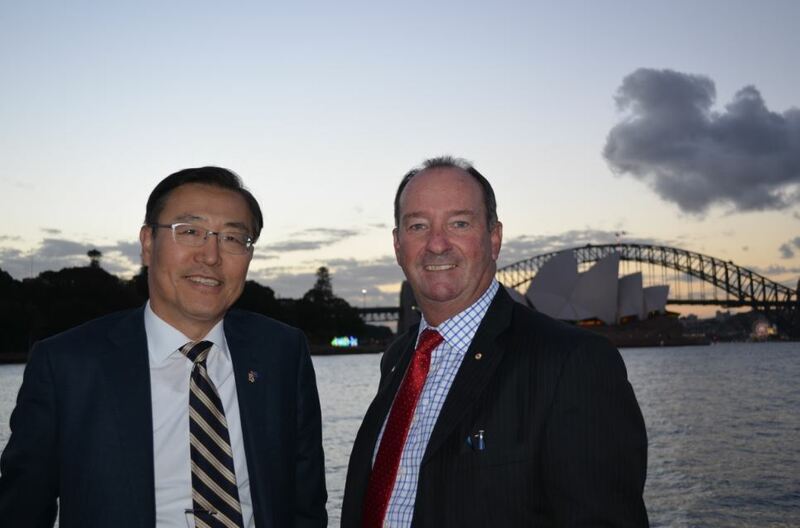 Last week, the Australia-Korea Business Council hosted a dinner to welcome His Excellency Mr. Baek-Soon Lee, Ambassador of the Republic of Korea to Australia. A private dinner was hosted by Ms Georgina Carnegie at her residence in Sydney with 15 guests in attendance, including AKBC Chairman Hon Mark Vaile AO, Hon Anthony Albanese MP and senior representatives from the Korean business community. Over dinner, guests exchanged ideas on how to boost the profile of the Australia-Korea relationship, the role of sports diplomacy, the geopolitical situation and how to grow two-way education (including the New Colombo Plan) and tourism.